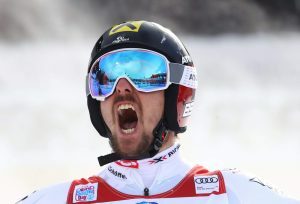 Hirscher Marcel has the record of winning 7 consecutive World titles and has numerous medals to his name. An Austrian national Marcel, leads the Skiing rankings followed by Norway’s Kristoffersen and Svinal who are placed 2nd and 3rd respectively. 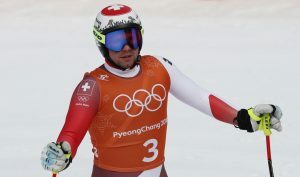 Feuz Beat has had knee problems several times in his career but this didn’t stop the the Swiss national from winning several medals, both in the Olympic and World Championships. He currently ranks 1st followed by Norway’s Svindel and Germany’s Dressen Thomas who rank 2nd and 3rd respectively. Marcel tops the Slalom rankings as he leads the table with a 164-point difference between him and the 2nd rank skiier Kristooerson of Noway. 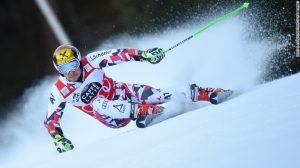 It is Hirscher Marcel yet again as he continues to dominate the Giant Slalom category by a considerable margin. Followed by Norway’s Kristoffersen and France’s Pinturault who are positioned 2nd and 3rd respectively. 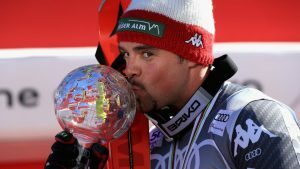 Jansrud hails from Norway and holds from the honor for being a Olympic champion and making it to the podium for more than 10 times. 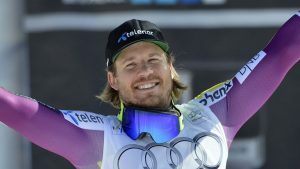 Currently, he is ranked the number one skiier in Super-G rankings followed by Austria’s Vincent and the Norwegian Svindal who stand 2nd and 3rd respectively. Fill Peter started his career by competing in all skiing events however he now focuses on only speed events. Super-G is one of them and the Italian dominates it as he ranked on the top of table followed by Norway’s Jansrud Kjetil and France’s Muffat-Jeandet who are placed 2nd and 3rd respectively. A 2-time Olympic Gold medalist, Shiffrin Mikaela leads the overall women rankings followed by Swiss skier Holdener and German skier Viktoria who are placed 2nd and 3rd respectively. Goggia Sofia has 22 podium finishes to her name and she won a Gold medal and a bronze medal which she won at the Olympic games and World Championships respectively. Owing to these performances Sofia leads the downhill skiing rankings followed by USA’s Vonn Lindsey and Liechtenstein’s Weitather Tina who are placed 2nd and 3rd in the table. The Slalom event is dominated by USA’s Shiffrin Mikaela as she has a total of 40 wins in this category. 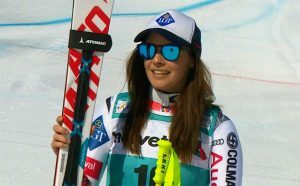 She is followed by Swiss national Holdener Wendy and Sweden’s Hansdotter Frida who are placed 2nd and 3rd in the women’s slalom rankings. Viktoria has 8 medals to her name, one of which is a Gold medal which she won at the Olympic games in 2010. Overall, she has 16 wins and 41 podium finishes which makes her the top ranked player in this category. With a total of 98 podium finishes Tina ranks on the top of the Super-G rankings followed by Gut Lara and Veith Anna who rank 2nd and 3rd respectively. The latest win that Wendy has to her name is the Gold medal which she won at the Pyeongchang Olympics in 2018. This performance along with her consistent past performances made her the top-ranked player in this category.